Abstract: Airwheel models, particular of X-series, are ubiquitous in every nook and cranny in the world. Among the models of X-series, X8 is the ultimate in the electric unicycle X-series. Airwheel is a worldwide famous manufacturer of electric unicycle. It is acting as a leader in this sector. Its models, particular of X-series, are ubiquitous in every nook and cranny in the world. Among the models of X-series, X8 is the ultimate in the electric unicycle X- series. 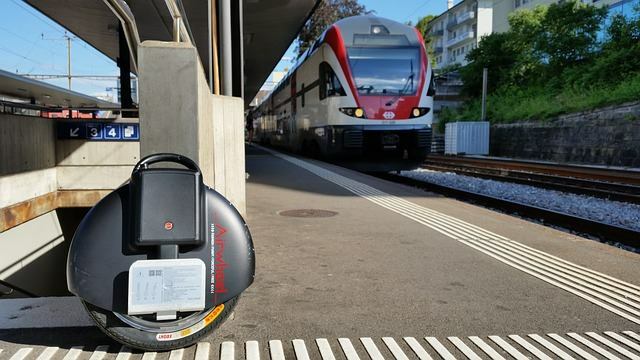 Electric unicycle X8 adopts cutting-edge maglev motor, Japan-made Li-ion battery core and self-balancing chip. Together with a maglev motor, Li-ion battery core makes sure that X8 generates no emission. This low-carbon and eco-friendly character has attracted interests and attentions from environmentalists. It is the first choice of personal transporter to hard-line environmentalists. Its self-balancing chip assures riders of a safe riding experience. Thus, it is mesmerising to players of all ages. X8 might give an impression that it is seemingly difficult to get the hang of. In fact, it is not the case. X8 turns out to be quite easy to manipulate. Riders can control the vehicle to go forward, accelerate, decelerate, and brake, etc. by leaning forward or backward. Similar to the techniques of riding a bicycle, the riders achieve balance by slightly tilting sideways. With strengthened brake and upgraded acceleration performance, the control of the vehicle is utterly depended on body movements. All process of acquisition only costs users 5 minutes. Additionally, X8 is quite super light and compact. A rider can carry it onto bus or subway without effort. As a result, it also becomes the favourite of urban commuters usually troubled by the inconvenience of traffic. The above-mentioned advantages endow X8 with great potentials and a bright future. People, especially the young, always take riding X8 as an awesome personal entertainment. In factory warehouses, X8 is also widely applied. It is believed that X8 will be applied to more occasions. There are more potentials in store for riders'further discovery. These days, Airwheel's products are rather common in all countries. Airwheel players are spotted in a number of countries. And Airwheel team is set to attend various exhibitions in the future. Fans who are eager to have a go could visit Airwheel's booth at local exhibitions. Being an unicycle enthusiast of Airwheel X8, you are welcome to visit www.airwheel.net for more information.